We left Penafiel with lasting memories early in the morning for the drive to Portugal. 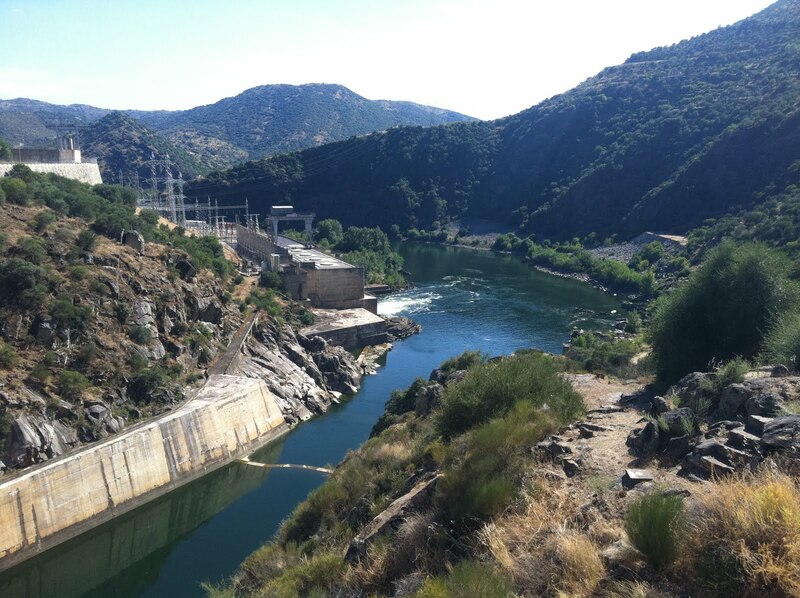 We were not taking the usual route into northern Portugal via the motorway but turning south west at Valladolid down to Salamanca and then directly west to the Portuguese border. The reason being was that I wanted to visit an old friend in the remote village of Freixo de Espada à Cinta Manuel Gomes Mota owner of Quinta de Maritávora. The drive west was extraordinary as we passed Salamanca we turned on to the CL517 the straightest 80km long road I had seen anywhere, rather Australian in fact. 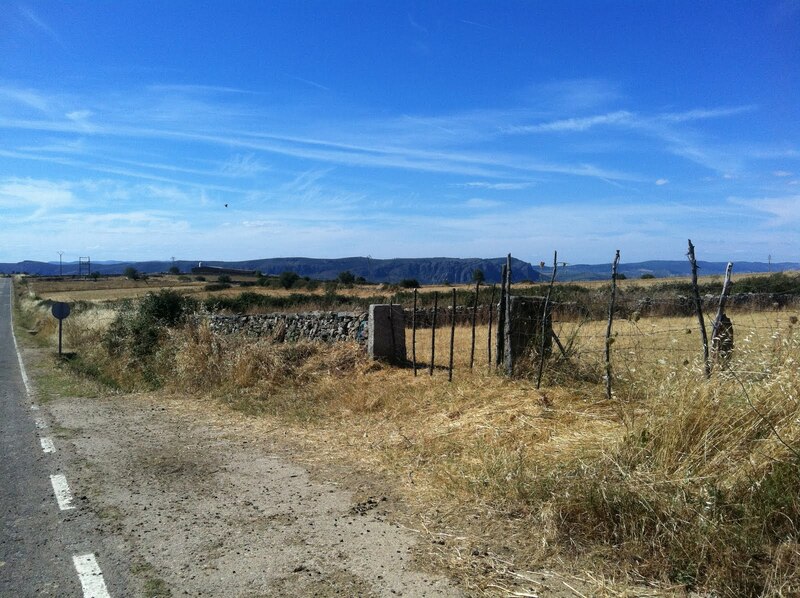 Although flat, the scenery was beautiful, passing cattle fields and olive groves. The road remains straight and flat until you see the unmistakable Portuguese border when it suddenly becomes apparent why the border exists and why the Spanish never invaded. As my Portuguese friend Fernando says “the Spanish are lazy and when they saw the mountains and extreme terrain they said let them keep that bit!” The flat land of the western province Castilla Y Leon ends sharply and you descend into a huge trough before crossing the border at Barca de Alva and its enormous dam capturing the power of the Douro River. The scenery is breathtaking and on crossing the Douro, vineyards can be seen immediately planted in terraces that flow with the contours of the steep river valley side. 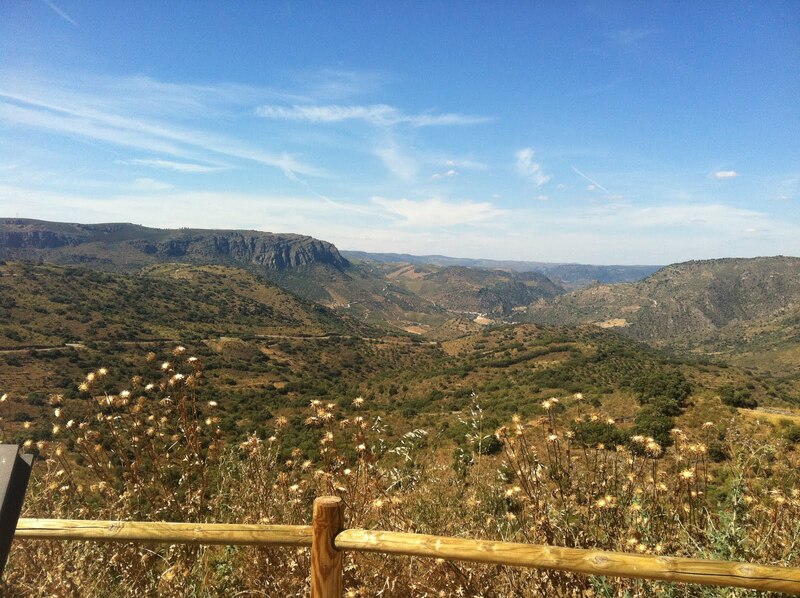 This area where the Douro actually creates the border for 90km before turning sharply west towards its final destination in Porto is known as the International Douro a nature reserve. 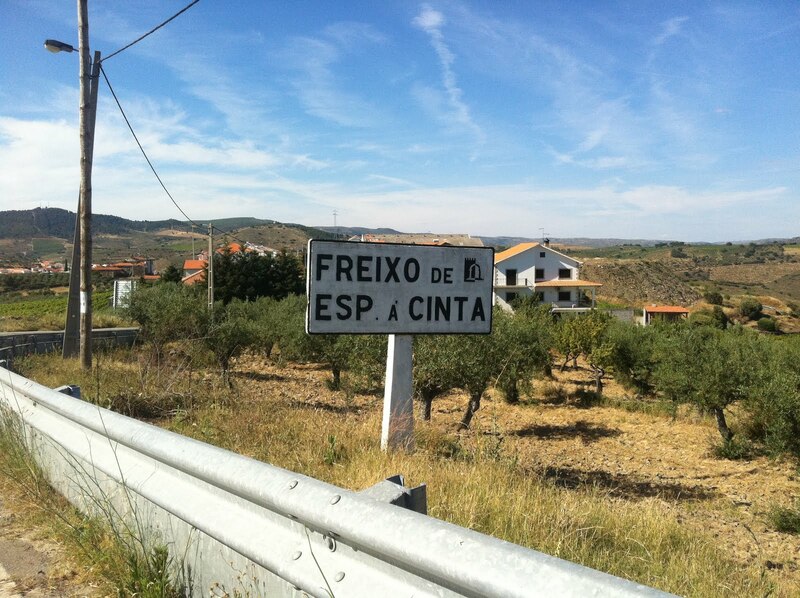 We wound slowly up the other side of the river until finally arriving in the town of Freixo de Espada à Cinta and I later learned the delightful story behind its name. Legend has it that the name originated from a nobleman who found himself in this territory after a battle with Arabs on the border of the Douro River. Tired, he rested in the shadow of a large ash tree, around which he wrapped his belt so that his precious broadsword hung vertical and off the rough ground. Whilst sleeping, the rest of his army arrived and couldn’t see the nobleman and so named the village Freixo de Espada à Cinta which literally means sword on the belt of an ash! Once in the village we gave Manuel a call, hoping not to disturb from his siesta and he kindly said he would be with us in 30 minutes. 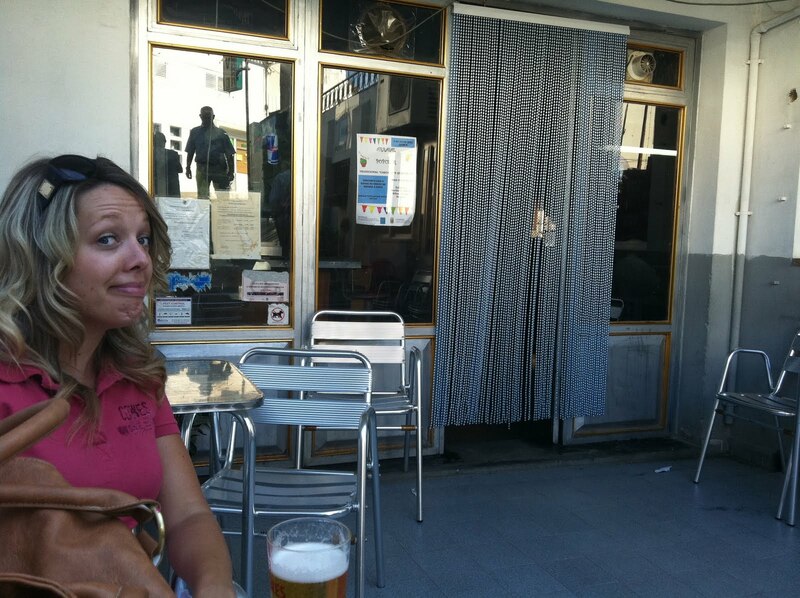 It was now very hot and 30ºC+ so we decided to wander a little bit to find a cold beer. Libby and I entered a tiny bar which was very dark and full of old men paying cards. The bar went silent and everyone stared at us. Not sure what the most shocking: a woman in the bar, or a man with long hair. Either way this place was certainly not used to visitors! We enjoyed the refreshing beer and suddenly the remoteness of the place was evident as a couple of old men passed by on donkeys! 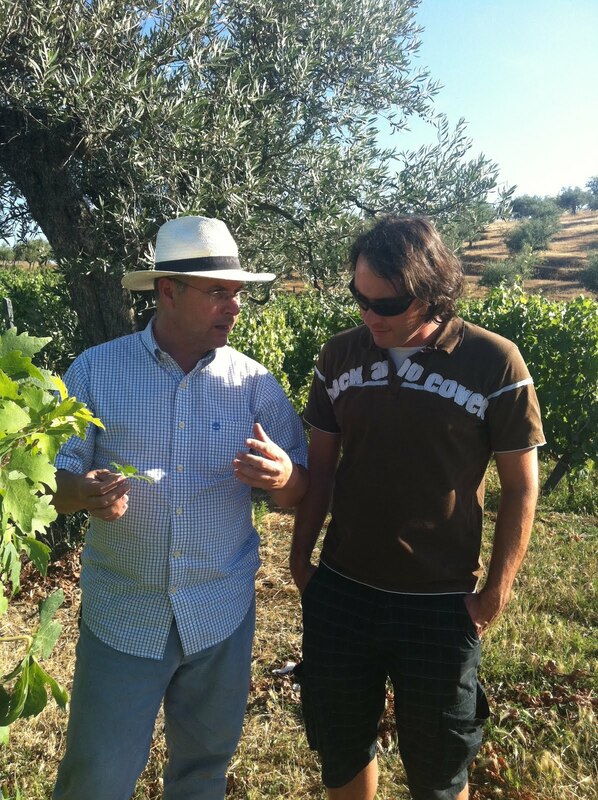 We were soon in the safe hands of Manuel and headed out to his estate Quinta de Maritavora just outside the village. Manuel is from a very important Port-producing family and it was Jose Junqueiro (father of very famous poet Guerra Junqueiro who was Manuel’s great uncle) that founded Quinta de Maritavora in the mid 19th Century. Manual’s large family acquired and still own many Port estates here in Frexio. They used to sell all their Port wine (for well over a hundred years) to the famous Port house Cockburns owned by the Symington family. 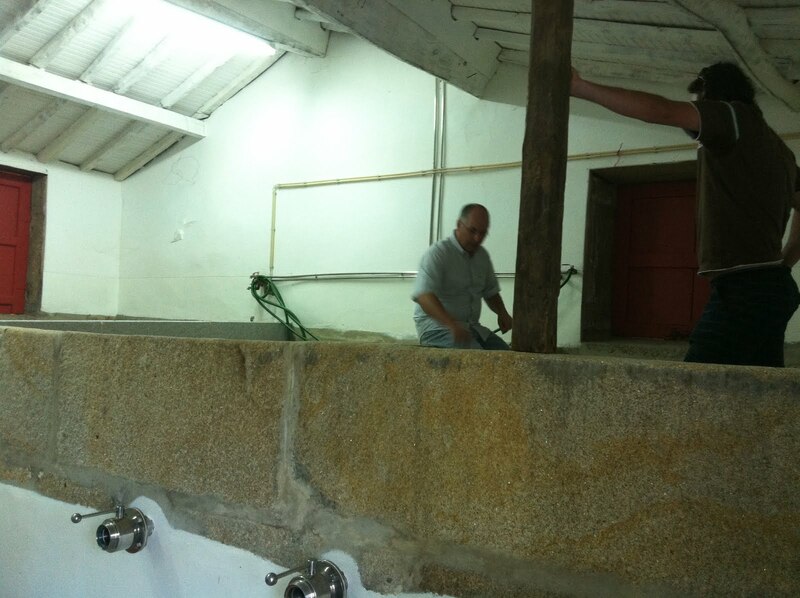 The wine was sold in bulk (unbottled) and was taken in barrels down river to age in the large lodges in Porto. It would be later bottled either in Porto or, back in the day, it would more commonly be bottled in England! The family did bottle a tiny amount of Port wine every year but for the family consumption only and any year in which a child was born the newborn was given 900 bottles of their incredible estate Quinta de Santiago. They have bottles dating back to the 1850’s and I was extremely privileged to be given a bottle of the 1977 vintage, my birth year! The interesting thing is that since Manuel has taken over the estate from his mother he has also started to produce fascinating dry red and white table wines as well as Porto and more-importantly, bottle it himself. The reason it is so fascinating is because of the grape varietals used which have attracted interest from university of Porto. His oldest white-grape vineyard consists of a mix of 10-12 different varietals and at least 5 unknown anywhere in the world let alone Portugal! 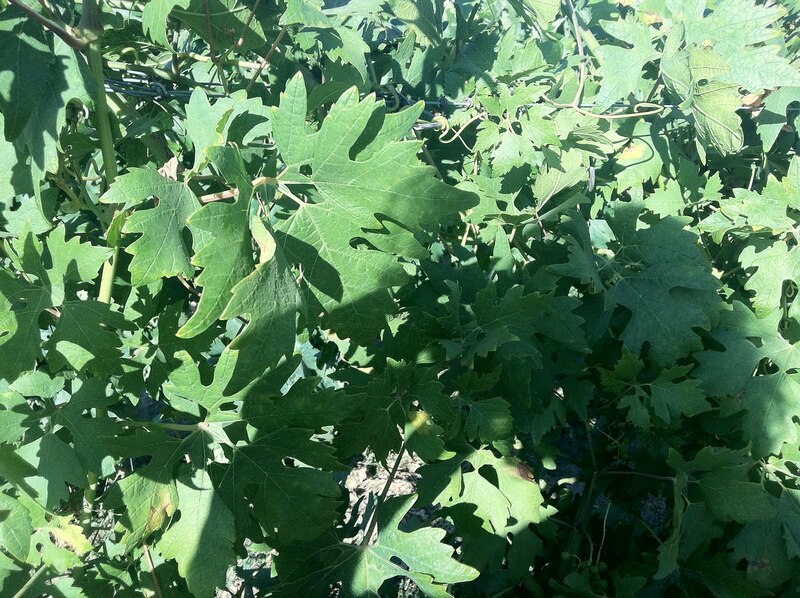 The variety they have identified and is unique to one row in one tiny single vineyard is the Uva Salsa of which the leaves resemble rocket. Manuel promised I could taste the wine made from it later! 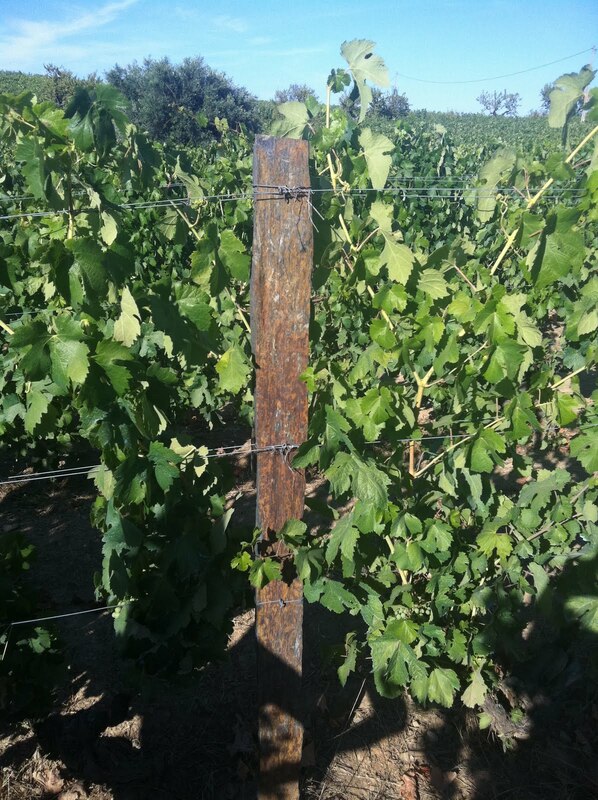 Another first for me was that all the trellising posts were made of huge two meter shards of Schist (black slate) taken from the very ground the vineyard was planted in! Also dotted all over the place are little pigeon towers where still now people keep pigeons but not to eat, they used the nitrogen rich droppings as natural fertilisers for the harsh slate soil! The winery is very simple and has a barrel store, couple of stainless steel vats for the whites and – what I had been hoping to see – three traditional lagars! Lagars are the traditional fermentation troughs still widely used today and are simply concrete baths that hold about 10 ton of grapes which are traditionally tread in order to crush the fruit sufficiently to release all the tannins and fats held in the skins as early as possible in the winemaking process. The team is traditionally men due to the sheer strength required to move for four hours at a time through the grapes. The reason this method is used here in the Douro is because it is home to the thick skinned grape varieties Touriga Nacional and Touriga France and the lighter Touriga Roriz. The fermentation and post macerations are all made in the lagars and emptied at the end directly to barrels. I tasted some absolutely wonderful 2010 whites and reds from barrels with a pure Touriga Franca standing out on the day. We came out of the cool cellar to blistering heat and Manuel picked a green unripe pumpkin to take for dinner (a speciality here). Manuel lives (as does his mother) in the capital Lisbon and travel out together to Frexio when they can and very kindly invited us to stay the night at their house and dine with them. The barbeque was soon up and running and we were introduced to Manuel’s mother, Maria Isabel; an extraordinary lady who not only ran the family Port houses after her husband but also found the time to write a fantastic cookbook with all the local recipes taking four years to compile. The meal was just great. So simple, steak, large thick slices of potato and the delicious green pumpkin puree. 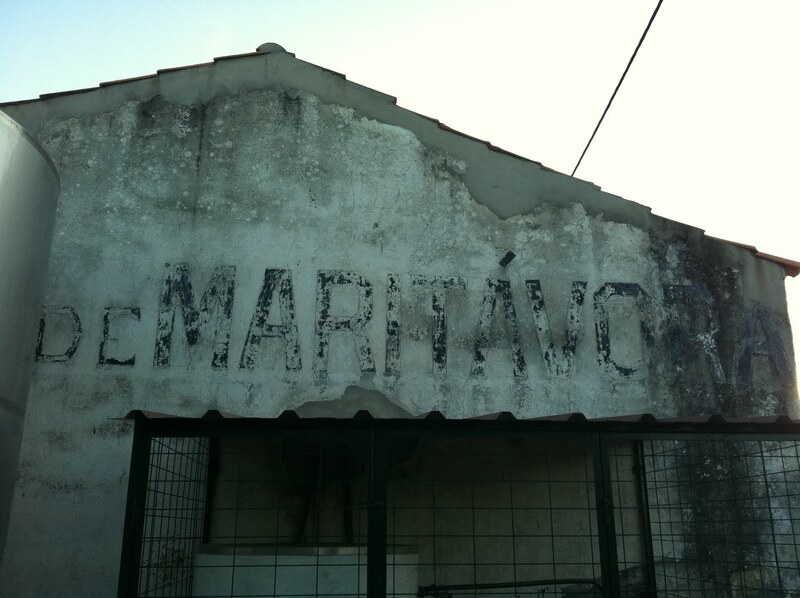 Manuel also opened bottles of the Maritavora estate from last year, delicious. The meal finished with a 1964 port from the family estate being opened and I was told by Manuel “in Portugal the Port is so precious that the owner will only serve to the person right of them and then it's serve yourself!” A truly fantastic evening!